If you just want the stamp set, it is available separately. Sale prices are only available on orders placed on my website. This sale features a selection of current products at 20 - 50% discounted prices. 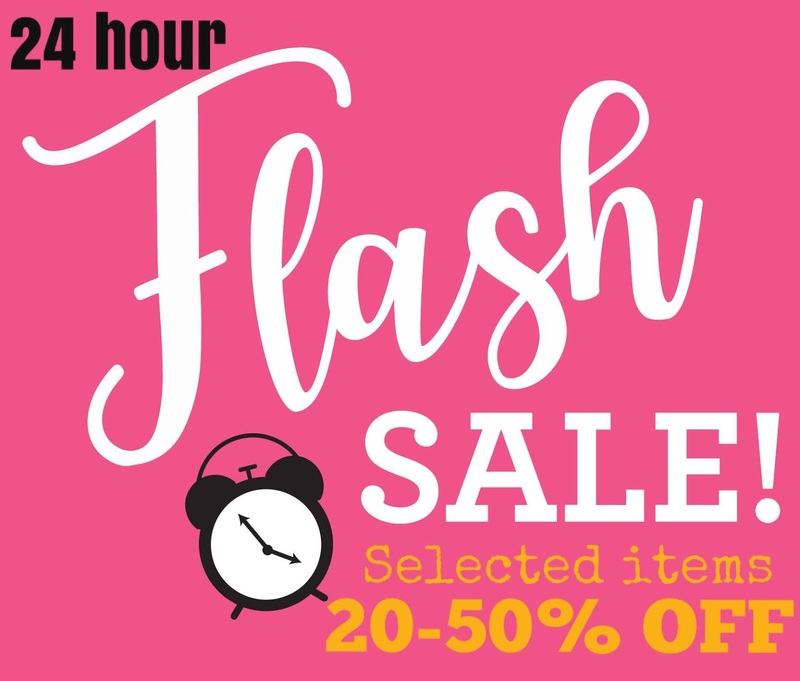 There are only a limited number of items set aside for the sale and it is expected that they will sell out quickly because of how great the deals are. Welcome! 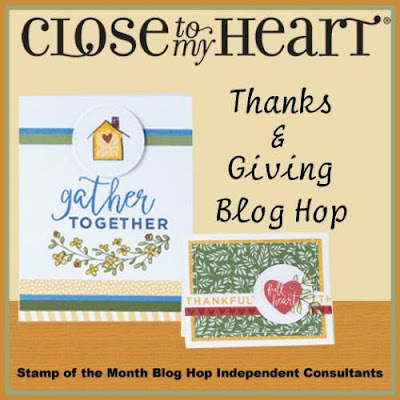 A blog hop is just one big loop of fun and creative ideas. Glad you could join us today. 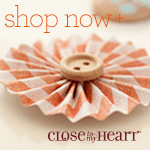 If you are coming from Krista's blog you're on the right path. If you are starting here, just look for the link to Alayne's blog at the end of my post. Each blog you visit will feature a link to continue following the hop. If you get disconnected somewhere along the way, you can find a complete list of blog hop participants here. This month's stamp set, Thanks & Giving, is another one of my favorite stamp sets. 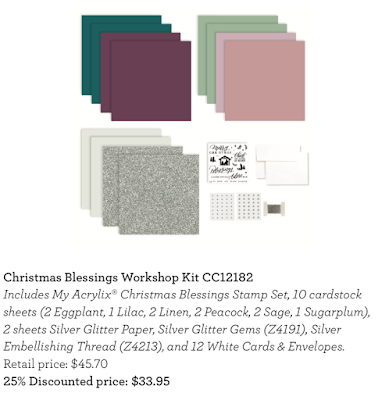 It features 16 stamps great for both scrapbooking and card making. It's available only through the month of October. After seeing all the great ideas in this blog hop, you're going to want to add this to your stamp collection. 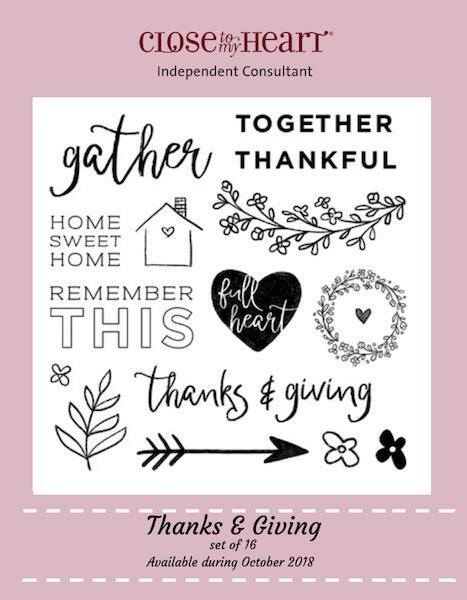 You can purchase this set for $18.95, or get it for only $5 with a qualifying order of $50 (US) through your Close To My Heart consultant or find it here . 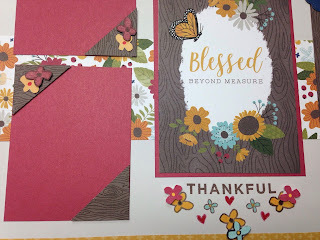 This month I used Thanks & Giving stamps along with the woodgrain stamp from the Grateful Heart - Card Making stamp set to embellish this scrapbook two page layout. Here's a closer look at some of the details. The word Thankful and some of the flowers were stamped right on the layout. Additional flowers and the hearts were stamped on other pieces of cardstock, colored and then fussy cut and added to the layout using foam tape. Grateful Heart - Cardmaking Stamp Set.(C1727). Here you see several other stamps from Thanks & Giving set. 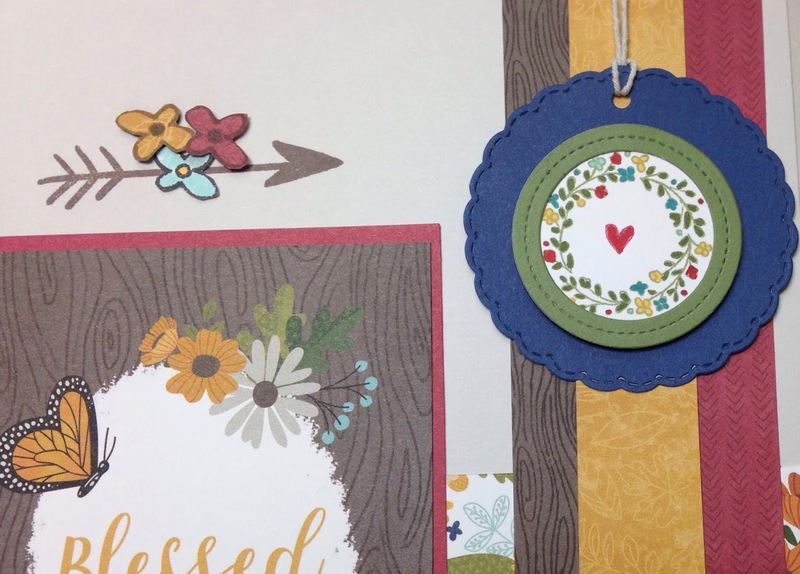 The little wreath is colored with a variety of ShinHan markers and mounted on the Sapphire tag made using the Fancy Tags Thin Cuts (Z4305). 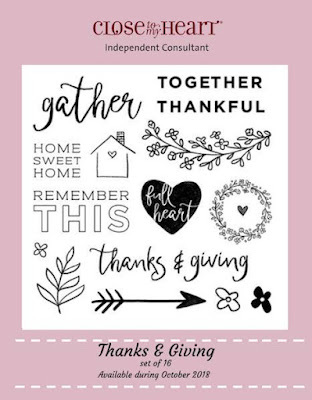 blog hop for lots of inspiration. entire list of participating consultants on Melinda's blog to get back on track.